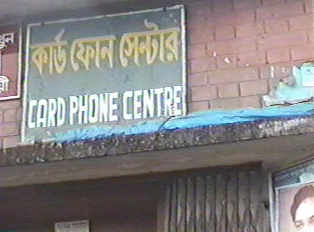 The telephone is very popular in Bangladesh. In the cities, most middle and upper income households have telephones capable of local, long distance and international calls. In the smaller towns and less affluent neighborhoods, fewer homes have telephones, but there is usually a phone in the center of a village that is available for a small fee. How to call another country depends on the kind of service and telephone. Without digital service, one must call the international operator. When calling from another person's home, one should have that number available, since the operator will always ask the number from which the call is being made. A customer has the option of specifying how long the call should be, and at the end of that time, the call will be disconnected. When a time is not specified, international calls are often automatically disconnected after twenty minutes. Cell phones are hugely popular among adults and young people alike. Pay telephones are available; however, they tend to be poorly marked, placed in obscure locations, broken, and otherwise not in use. However, when one needs a phone, it is a common practice to go into any store and ask to use the telephone.